USA Network has announced that season 4 of Mr. Robot will be the show's last. The 12-episode season 4 will go into production in January and premiere some time next year. NEW YORK, NY – August 29, 2018 – USA Network today announced the fourth and final season of the award-winning MR. ROBOT will return in 2019. From Universal Cable Productions (UCP), production will begin this winter in New York. Creator, showrunner and director Sam Esmail confirmed the news. “When I first created the world of MR. ROBOT, I thought it would be a niche television series with a small, cult following,” said Esmail. “Over the past three years, it has become so much more, and I am continually humbled by the show’s recognition and by the amazing cast and crew that work tirelessly to help bring my vision to life. Since day one, I’ve been building toward one conclusion – and in breaking the next season of MR. ROBOT, I have decided that conclusion is finally here. Everyone on the creative team, including the amazing people at USA and UCP, didn't want to say goodbye, but we ultimately have too much respect for Elliot's journey to extend past its inevitable ending. Therefore, Season 4 will serve as the final chapter of the MR. ROBOT story. To fans of the show: thank you for the past three years, and I can't wait to share this exciting final season with you." MR. 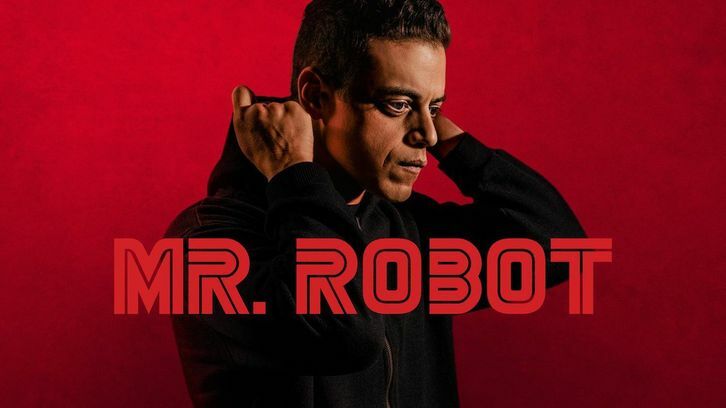 ROBOT follows Elliot Alderson (Rami Malek), a cyber-security engineer who, along with Mr. Robot (Christian Slater) and fsociety, starts a revolution to change the world. Season 4 will pick up where the third season finale left off, delving into the pros and cons of Elliot hitting “send” on the email that could reverse 5/9. The series stars Emmy Award winner and Golden Globe® nominee Malek, Golden Globe Award winner Slater, Portia Doubleday, Carly Chaikin, Martin Wallström, Grace Gummer, Michael Cristofer and Emmy Award nominee BD Wong. MR. ROBOT hails from writer, director and executive producer Esmail, as well as Anonymous Content executive producers Steve Golin and Chad Hamilton. Under his overall deal with UCP, Esmail is executive producer on the upcoming USA Network pilot BRIARPATCH, a unique blend of crime, thriller, mystery, and pulp fiction starring Rosario Dawson and based on the Ross Thomas novel of the same name. He is also executive producing ANGELYNE, a drama starring Emmy Rossum (“Shameless”) and based on The Hollywood Reporter senior writer Gary Baum's investigative feature on the Los Angeles billboard diva. In addition, Esmail is developing a limited series based on Fritz Lang's sci-fi classic METROPOLIS. Most recently, he directed and executive produced Amazon's HOMECOMING, based on the podcast of the same name, starring Julia Roberts and Bobby Cannavale, which will premiere later this year.